As recent mutinies demonstrate, Ivory Coast’s troubles are anything but over. That Ivory Coast’s troubles have roots in the ethnic (indigene/“Ivorite” versus migrant/settler) and religious (secular and Christian versus Muslim and Islamist) tensions caused by decades of mass migration, is self evident. However, while racial and religious tensions do pose serious challenges, nothing compares to the challenge of FrançAfrique. At around 2am on the morning of 6 January 2017, mutinying soldiers took control of Bouaké, Ivory Coast’s second largest city. Perched atop Ivory Coast’s volatile ethnic-religious “fault-line”, Bouaké has long been the “rebel” front-line. 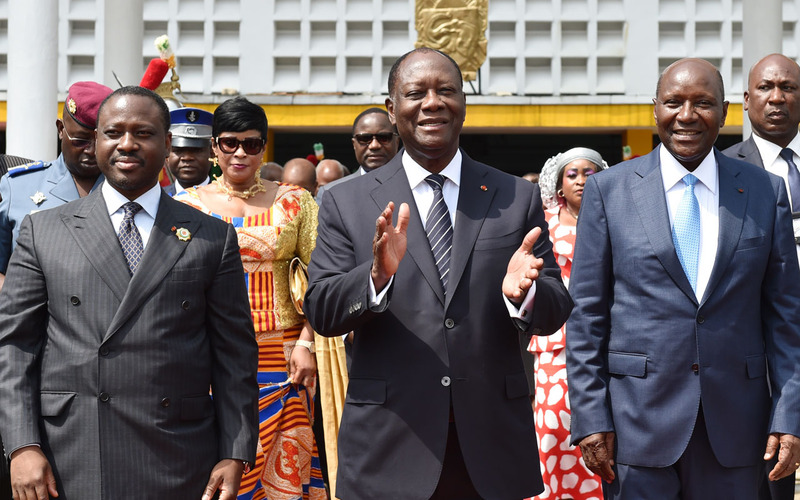 As the mutiny spread to other major urban centres, President Alassane Ouattara announced that he had agreed to consider the mutineers’ demands. To that end he ordered his defence minister and military chiefs to hold urgent talks with members of the security forces. Violence erupted again in Bouaké on Friday 13 January as the government met with the mutineers to iron out the details of an agreement. The agreement forged will see some 8,500 mutinying soldiers paid 12 million CFA francs (US$19,400) each – a significant amount given that many Ivorians earn about $160 a month. Unsurprisingly, copy-cat mutinies subsequently erupted in other cities as other former rebels demanded similar payments. In some cities, disgruntled civil servants also went on strike. Four people died when tensions spilled over into violence in the political capital Yamoussoukro. Then, on 7 February, an elite Special Forces unit directly involved in providing close security to the president mutinied in the south-eastern coastal town of Adiaké, just 90 km east of the port city of Abidjan, Ivory Coast’s commercial capital. While order has been restored, it is not clear that any agreement has been reached. 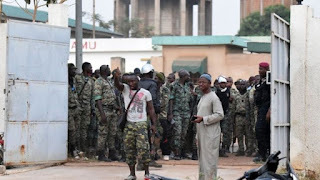 According to one report, a representative of the Special Forces’ mutineers told TV5 that they are seeking 17 million CFA francs (US$27,500) and promotions, warning that if the government refuses, then “the country will suffer” for they are “really ready” to fight to the death. Reporting for Ventures Africa, Franck Kie commented (8 Feb): “A month after these events [in Bouaké] happened, the situation appears to be back to normal, but there are still serious questions about Cote d’Ivoire’s future and stability. In 2014, a similar mutiny took place and according to many sources, the military men which were protesting early 2017 had already been paid back then. Since their requests have always been approved, and they are the ones with weapons, for how long will Cote d’Ivoire be held hostage by these men? mutineers in Bouake, 6 Jan 2017. The mutineers are former rebel fighters, most of whom fought with Guillaume Soro’s rebel army known as the New Forces during the troubles of 2002 to 2011. Most are northern Muslims, including Muslim settlers from Mali, Burkina Faso and Guinea. Despite having terrorised Ivory Coast for years, these former rebels were absorbed into the Ivorian military in 2011, following the violent coup d’état that brought Alassane Ouattara to power. The mutineers claim not to have received the compensation they were promised for the part they played in the violent ouster of Laurent Gbagbo. Many suspect the 6 January mutiny in Bouaké – which does appear to have been orchestrated – is part of a power play by former rebel leader Guillaume Soro. Surely it was no coincidence that the mutiny erupted in the early hours of the day Soro would be re-elected as President (speaker) of the National Assembly. As President of the National Assembly, Soro had been the legal successor to the president – that is, until President Ouattara oversaw changes to the constitution. Passed in a referendum in October 2016 and signed into law on 8 November, the new constitution establishes the office of vice president, and designates the vice president as president’s legal successor. Soro (l), Ouattara (c) and Duncan (r) - 10 January 2017. As such, the constitutional reforms pose a threat to Guillaume Soro’s presidential ambitions. Consequently, many analysts believe that the 6 January mutiny in Bouaké was but a show of strength from Guillaume Soro, who still commands the allegiance of the bulk of former rebel fighters. On Tuesday 10 January, President Ouattara (75) named former prime minister Daniel Kablan Duncan (73) as his vice president. Duncan was finance minister under Ouattara when Ouattara was prime minister in the early 1990s. A long-time Ouattara ally, Duncan is also a leading figure in moves to expand Islamic finance and Islamic investment in Ivory Coast. Observers believe Ouattara is paving the way for Duncan to succeed him in 2020 – but that Soro might have other ideas. The volatility is unnerving investors. A Stratfor Global Intelligence report published on 22 February forecasts problems ahead for Ivory Coast.  Despite years of impressive economic growth, Ivory Coast will need to enact sweeping reforms within its military to prevent its burgeoning democracy from backsliding.  But these reforms will be exceedingly difficult for the government to make, constrained as it is by its historical reliance on the country's powerful former rebel commanders. It must be noted however, that if conflict does return to Ivory Coast, then everyone – but especially Christians – will have more to worry about than the price of chocolate. Much has changed since Alassane Ouattara was inaugurated in May 2011. In August 2011, US-French-NATO forces aided al-Qaeda-linked jihadists in the ouster of Libyan dictator Muammar Gaddafi, who, as an ally in the “War on Terror”, had kept Al-Qaeda in the Islamic Maghreb (AQIM) hamstrung for years. In October 2011, Gaddafi was barbarically lynched by a mob of “bearded ones” (as he derisively and contemptuously called them) to cries of Allahu Akbar. Libya’s numerous weapons caches were raided, the weapons making their way into the hands Islamic jihadists throughout West and North Africa, Syria and the wider Middle East. Re-equipped and finally off the leash, AQIM exploded back onto the scene. By mid April 2012, AQIM affiliate Ansar al-Dine had seized control of much of northern Mali, securing more weapons, leading a local security expert to lament that AQIM “is today more armed than the combined armies of Mali and Burkina Faso”. On 15 January 2016, Ansar al-Dine kidnapped Swiss Christian missionary Beatrice Stockly from her home in Timbuktu, Mali. Also on 15 Jan 2016, AQIM affiliate al-Murabitoon – formerly known as MUJAO (Movement for Unity and Jihad in West Africa) – attacked Ouagadougou, the capital of Burkina Faso, killing 29 civilians, including seven foreign Christian workers in what it called “a message . . . to the slaves of the cross”. Also on 15 Jan 2016, Ansar al-Dine crossed from Mali into Burkina Faso and kidnapped Australian missionaries Dr Ken Elliot (81) and his wife Jocelyn from their home in Baraboule [see RLPB 341 (27 Jan 2016)]. Beatrice Stockly and Dr Ken Elliot remain in AQIM captivity to this day. On 16 March 2016, al-Murabitoon gunned down 14 civilians and two soldiers in Grand-Bassam, a beach resort town in south-eastern Ivory Coast [see RLPB 348 (16 March 2016)] midway between Abidjan (the commercial capital) and Adiaké (the site of the 7 Feb 2017 Special Forces mutiny). On 14 October 2016, al-Murabitoon abducted US-missionary Jeff Woodke (55) from his home in northern Niger. Nigerian authorities tracked his captors to Mali, where al-Murabitoon is based. Woodke’s situation is dire [see RLPB 396 (1 March 2017)]. The rise of AQIM and the presence of Islamic State in the Greater Sahara raises the stakes in Ivory Coast. For if there is anything transnational Islamic jihadists do cherish, it is chaos, insecurity and a cause that can be exploited. FrançAfrique is rooted in the colonial pact brokered between France and its former colonies in the 1960s; a pact still in operation today. The colonial pact mandates that 65 percent of the foreign currency reserves of former French colonies in Africa go into the French Treasury, while a further 20 percent of reserves go to cover “financial liabilities”. This means Africa’s fourteen former French colonies only ever have access to 15 percent of their own money; if they need more they have to borrow their own money back from France at commercial rates. Further to this, the colonial pact perpetuates French control over strategic raw materials. It also gives France the right to station troops in the country with the right of free passage and mandates that all military equipment be acquired from France. It requires that French businesses be allowed to maintain monopoly enterprises in key areas such as water, electricity, ports, transport and energy. To this day, France’s African policy remains the personal fiefdom of the President’s office. 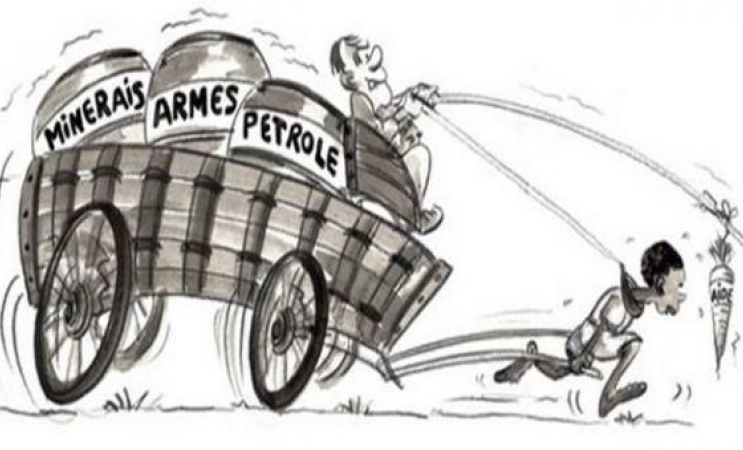 To remain in power in francophone Africa, one must be prepared to act as a vassal of neo-colonial France. This was something the nationalist government of President Laurent Gbagbo (a historian, former political dissident, and a southern Christian) and Mamadou Koulibaly (a professor of economics, finance minister, president/speaker of the Parliament, and northern Muslim) was not prepared to do. On the other hand, presidential aspirant Alassane Ouattara was not only prepared to perpetuate FrançAfrique, he was also prepared to play the race and religion cards for political and personal gain. Worse still, he was willing to take power by force if necessary. FrançAfrique is why Alassane Ouatarra is today threatened with a divided and volatile military. That said, FrançAfrique is also why Alassane Ouatarra – as France’s man in Yamoussoukro – would doubtless retire comfortably in France if all hell was to break loose. FrançAfrique (as distinct from “war crimes”) is precisely why former president Laurent Gbagbo and Young Patriots leader Ble Goude are today standing trial at the International Criminal Court in The Hague while current president Alassane Ouattara and New Forces leader Guillaume Soro are not. Poverty-perpetuating, exploitative FrançAfrique is an enduring injustice and Ivory Coast’s greatest challenge. And as long as French and Islamic interests converge in Ivory Coast, then FrançAfrique will continue to pose an existential threat to the Ivorian Church. Civil war erupted in September 2002 after the mostly northern Muslim rebel fighters led by Guillaume Soro attempted to seize control of the state. The coup, which was launched in Bouaké, failed and the government remained in control, albeit over a divided country: a largely ethnical-religious cleansed and increasingly lawless, rebel-controlled north, and a government-controlled south, with a perpetually volatile middle belt. 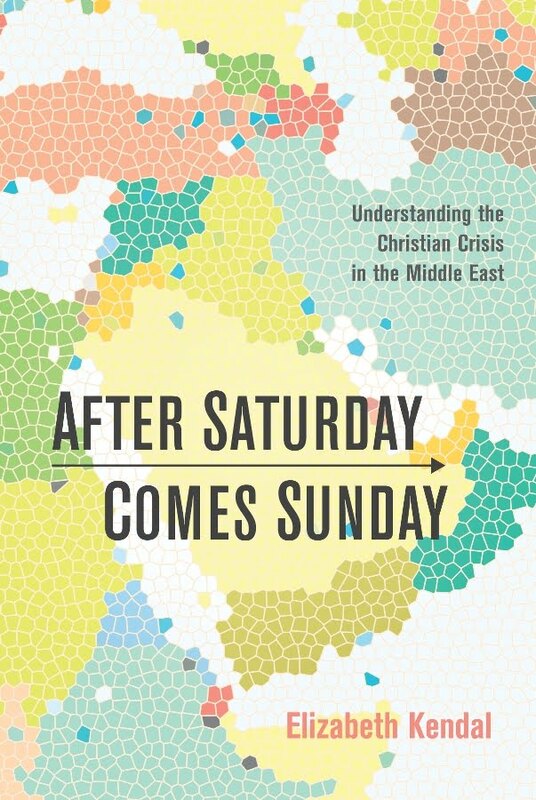 By Elizabeth Kendal for World Evangelical Alliance Religious Liberty Commission. While the rebel coup d’état failed, the peace deal imposed on Ivory Coast by former colonial power France, was, in the words of Parliamentary Speaker Mamadou Koulibaly, “a constitutional coup”. The election result was hotly contested. Immediately following the vote, the strongly pro-Ouattara Independent Electoral Commission proclaimed Mr. Ouattara the winner. 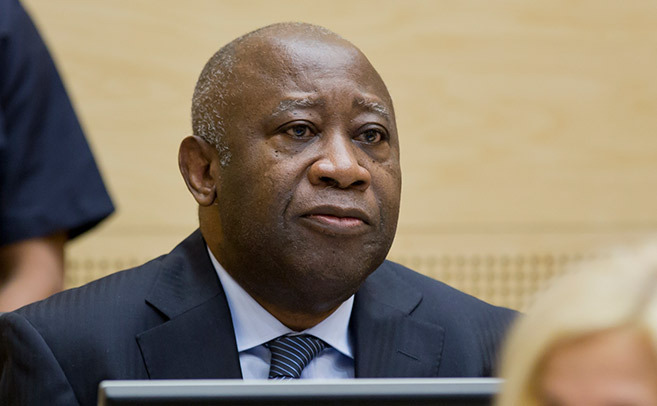 But Mr Gbagbo challenged the result, forcing the strongly pro-Gbagbo Constitutional Council to open and investigation, as mandated by Ivory Coast’s constitution. Before the Constitutional Council could announce its ruling, pro-Ouattara elements broadcast, via French TV from Ouattara’s headquarters, that Alassane Ouattara had won the election. The illegal and pre-emptive announcement was met favourably in the West on the grounds that a Ouattara presidency would better serve French and US economic interests. When the Constitutional Council subsequently declared Gbagbo the winner the opposition cried foul. Both men claimed victory; tensions soared. On 10 Dec 2010 the UN Security Council renewed the mandate of the “UN Operation in Cote d’Ivoire (UNOCI) and of the French forces which support it”. On 24 Dec 2010 the UN General Assembly recognised Ouattara as the winner of Ivory Coast’s elections. Russia objected, saying the UN should not be interfering in the electoral processes of a sovereign state. 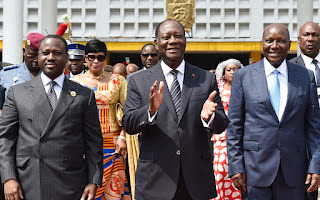 Despite the fact that this was a political crisis requiring a political solution, Alassane Ouattara – assured of Western backing – moved to seize power by force. It was a classic case of asymmetric conflict. Up against the mighty and loyal army of the Ivorian State, the pro-Ouattara rebels were by far the weaker force. The violent coup d’état was only successful because the mostly northern Muslim rebels were aided by UN and French troops, tanks and helicopter gunships. While the UN and France-backed coup did empower Alassane Ouattara, it also sowed the seeds of today’s troubles, by leaving Ouattara indebted not to his foreign backers, but to many thousands of former rebel fighters. Ivory Coast: church attacked; refugees suffering; lawyers refused; Mbeki speaks. Elizabeth Kendal is international religious liberty analyst and advocate. 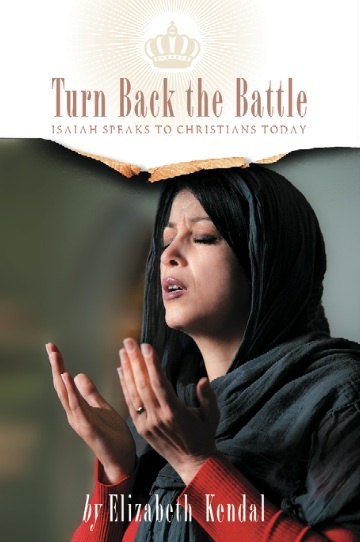 She serves as Director of Advocacy at Canberra-based Christian Faith and Freedom (CFF), and is an Adjunct Research Fellow at the Arthur Jeffery Centre for the Study of Islam at Melbourne School of Theology.